After the disappointment of losing the Euro 2016 final on home soil, France will be desperate to win the World Cup. With a much changed side to last time, Les Bleus head into the tournament as one of the favourites. One of these players who didn’t feature in Euro 2016 is 22-year-old defender Lucas Hernandez. Currently playing for Spanish giants Atletico Madrid, Hernandez will be heading into his first international tournament looking to showcase his talents on an international level. Hernandez has been with Atletico all his life despite being born in France, and he has been an integral member of their squad for the past couple of seasons. He also has five French caps to his name. The Europa League winner made an impressive 44 outings for Atletico in all competitions last campaign. Hernandez was rumoured to have been close to playing for the Spanish national side back in December last year, but reports have emerged that Atletico and France teammate Antoine Griezmann prohibited this from happening by persuading the left-back to play for France. His form has been rumoured to have caught the eye of Real Madrid – who were linked with a move for the 22-year-old. As expected, France topped their qualifying group finishing four points ahead of second placed Sweden. Didier Deschamps’ side only tasted defeat once in qualifying – losing 2-1 to Sweden. France haven’t been world champions since 1998, with a second placed finish in 2006 the closest they’ve came since. While France seem to have a potent attack, they will also need a strong back-line. 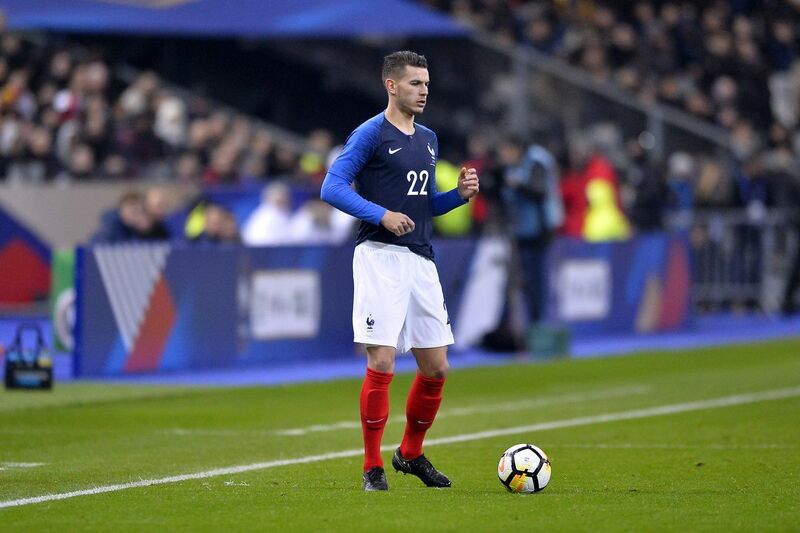 Lucas Hernandez will be one of the defenders hoping to become World Cup winners with France. Hernandez didn’t feature in qualifying, but he was called up to the squad by manager Didier Deschamps for friendlies against Colombia and Russia. Hernandez is a pacey full-back who is known for his crossing ability. He likes to get down the wings and push further up the pitch. Despite this, he doesn’t abandon his defensive duty with his explosive pace allowing him to track back and win tackles. Being strong in the air as well makes it very difficult for attackers to get past the 22-year-old. The left-back is also very versatile. He played 28 games at left-back last season, but he also made 15 outings at centre-back which shows that he is more than capable of doing the job in other areas of defence. We’ve picked out Hernandez as one to watch this summer as he hasn’t been able to showcase his talents outside of Spain yet. The 22-year-old will be desperate to show the world what he can do on an international level, and he will be hoping that his solid performances for his club will transfer over to his international side as France look to win their first World Cup for 20 years. On Football Manager, Hernandez is thought of as a consistent performer who possess a good amount of pace as well as being able to play in more than one position. His value is estimated to be €5.25m, but in order to sign Hernandez you will need to cough up a lot more money with Atletico understandably reluctant to let the defender depart the club.